They push their globalist agenda on all of us of no rights to property and other rights. People were even fined for collecting rainwater in their own homes. This genocidal agenda of humanity has already begun and there are many means implemented to achieve this goal, including chemtrails (or “Geoengineering”), vaccines, irradiated food, GMOs (Codex Alimentarius), smart meters, 5G deployment that Trump promotes as part of a “technology race”. One such mean which is relatively ignored in the alternative media is mass population migration from Africa and the Middle East into the U.S. and Europe. In Israel, they helped bring about 100,000 migrants from Africa who conquered entire neighborhoods in Southern Tel Aviv and other cities where the local population literally became refugees in their own country and fled to other parts in the country. They terrorize the locals and it’s horrendous what happens in these areas. However, all these means sound great when they are termed the “sustainable development” under Agenda 21. So how people who barely earn 300 USD per year could afford a journey from Africa to Israel that costs (according to some immigrants’ testimonies) $3000 USD. I discovered that this is being paid for and these immigrants are being protected by NGOs (Non-Government Agencies), which are funded by foreign governments and foundations. I surmise that this is an orchestrated immigration to Israel, resembling that from Syria and Africa to Europe and the U.S., is to destroy the Western countries and those aligned with them from within. Then I started thinking about what we aren’t being told about this massive population migration to Israel. How Is Agenda 21 Implemented Locally Worldwide? Again, Agenda 21 is carried out by NGOs funded by foreign countries, like the New Israel Fund (funded by the Ford Foundation and others, including Muslim countries) as well as such groups as the Open Society Foundation (George Soros) and Oxfam with the intentions, I surmise, to destroy Israel from within like with other Western countries. It seems that using the word “sustainability” helps them promote their depopulation plan unabated. It sounds so “green”, advanced, and progressive. Does it ring a bell? That’s the reason why most people will consider this plan as positive. So, what is wrong with it? Pay attention to the actions of those implementing it and not to “nice”, placating words such as “sustainable development”. For a long time, I had no idea that there was any connection between all these diverse topics. This agenda is run by the United Nations via an NGO called “International Council for Local Environmental Initiatives,” commonly known as ICLEI (pronounced Ik-lee). It is implemented locally by municipalities of major cities worldwide, including London, Berlin, Rome. From my research, fifteen cities in Israel joined this NGO in 2008. It should come as no surprise that Ron Huldai, Tel Aviv’s mayor, is the chairman of ICLEI Israel (or as it’s called the Forum 15, which is the forum of 15 cities in Israel that adopted ICLEI regulations). This is paid for by you, and taxpayers worldwide (not only in the U.S.), without your knowledge or consent, as none of us was informed of it and obviously, and you didn’t have had a vote on its implementation. This U.N. Agenda 21 is responsible for the development programs in your city that you are not aware of, behind the mass engineered immigration in the West and heavy population surveillance everywhere (as with “smart meters” and 5G). You can check the Agenda 21 programs implemented in your city or town by searching Agenda 21 and the name of your city in Google. You’ll find them this way. I found these programs implemented in Haifa, the city where I live. They also condition children to use sustainable transport which is closely tied to Agenda 21’s population management program, in attempt to bring most people into megacities and away from rural areas which will be deemed “open spaces” for wildlife and be more easily controlled by using public transport. Recently we became familiar with a Swedish teenage girl called Greta Thunberg who according to mainstream media – that promotes agenda 21 and global warming/climate change – helps raise the awareness to climate issues. Again, we can see here how children and teenagers are being conditioned to such beliefs without perhaps realizing that they are being used to promote this agenda. If the cabal doesn’t succeed one way (as with Al Gore), they will push their agenda in another way. My primary concern here was that a hidden agenda is being masked as a beneficial plan for humanity, while being exactly the opposite. In reality, it’s a well-crafted lie to slip past our scrutiny. The upshot of all this is removing national sovereignty and empowering the U.N. to gradually take control over what was once national policies. As this plan is covertly implemented in the name of U.N. Agenda 21 by an NGO called ICLEI, none of us had been informed about it or have voted for it in any way; it basically leads to the loss of personal freedom and sovereignty worldwide. This is a term used for the food regulations that were written and ratified in 2009. In my research, I found a connection between IG Farben (former BAYER, BASF, HOECHST) and the food laws ratified by the UN. It raises many important questions such as: How are these regulations connected to the depopulation agenda? And why is our food filled with toxins and elements that risk our health? Are there really too many people on earth? Is the World Health Organization interested in our general wellbeing? I found out that Nazis like Fritz ter Meer, a former executive member of IG Farben (which produced and supplied the cyclone B to the death camps during the Second World War), who was incarcerated for fifteen years in prison after being convicted in the Nuremberg War Crimes Tribunal, was employed by the U.N. after being released. He was part of the committee designed to plan the food resources for humanity that devised the Codex Alimentarius. (This is an UN-sponsored global food standards body, which criminalizes the production of healthy nutrition both commercially and at your home, whether it’s organic food, your dietary supplements, or even your organic garden). Dr. Rima Laibow talks about these regulations, which has determined that vitamins are toxins and therefore to be limited in consumption to ineffective dosages, and which includes irradiating the food supply to destroy all nutrients in our food, and to switch to the GMO foods to be consumed by the masses. This alone will lead to the death of three billion people worldwide in the next few decades according to Dr. Rima Laibow. The World Health Organization confirms these estimates. Why Don’t People Hear About This Plan? Most people use mainstream media, including TV, newspapers, radios and other means to keep informed, which suppresses this information; those in power control mainstream media and don’t want you to be aware of this plan. 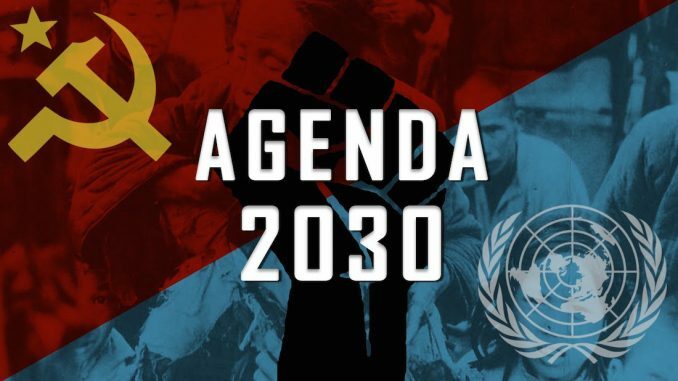 This media has denied the existence of such a plan for years, despite the existence of a book entitled “Agenda 21” (350 pages) published by the UN. So if you don’t rely on alternative media coverage, it’s improbable that you’ll find information about this vast global plan and all of its goals.9 If the public worldwide had become aware of such a plan, they would immediately rise up against it and stop its implementation, which is definitely something “the powers that be” don’t want. So they have introduced this plan incrementally by using appealing wording like “sustainable development” or some other “green”-sounding term so people would gladly accept it (as fascist regimes have always done). However, it is not about environmental sustainability at all. Its true goals are implemented by deception, concealing its real aim to take over the entire planet and all its assets by a handful of people. The lifestyle of the “global elite” with their private trains and jets, fleets of cars, and palaces and their businesses are excluded from this plan and continue to be considered sustainable. In 2013, after finding out that “chemtrails” do exist, I started writing to well-known activists on this topic like Dane Winington, especially, after feeling distraught and helpless about it. I was sick, my throat hurt, and there was no one I could turn to except for those activists reporting and sharing health tips on how to maintain our health and sanity when all this insane information comes out. First, after realizing this phenomenon, I took a lot of pictures and then one day I noticed two airplanes spraying and leaving these white trails behind them that other planes didn’t leave. This occurred so many times that a friend and I just watched these planes. She also took some usable photos and videos and posted them on Facebook. I started feeling helpless and hopeless seeing these unmarked airplanes spraying and being unable to do anything except to watch them spraying their poison. Later on, I also found out that not only do they spray from airplanes, but they also use underwater jet streams in the oceans aimed at our beaches where it’s relevant. The founder of this site Geoengineering Watch, Dane Winington, together with others filed a lawsuit against the authorities (the regime), who are supposedly behind this crime against humanity stating that HAARP is being used as a weapon that induces climate change. I found out about a patent for H.A.A.R.P (High Frequency Active Auroral Research Program) that it has installations worldwide, which together with chemtrails they can actually create earthquakes, tsunamis, and other “natural” disasters. Cobra (the resistance movement) also calls it ionosphere heaters (the most famous one is located in Alaska, but such facilities can be found worldwide) and they posted a respective map. I watched videos that people worldwide uploaded on YouTube showing strange colorful “clouds” half an hour before a “natural” disaster occurred. I found out that a secret “black” budget of former President Obama sponsoring our own demise; shockingly, I discovered that we unknowingly finance our own genocide (Secret Presidential Chemtrail Budget Uncovered — Congress Exceeds Billions To Spray Populace Like Roaches and that it goes on for decades. “Historical records prove beyond doubt that climate engineering has been fully deployed on a substantial scale for over 65 years (hurricane suppression for over 53 years), so why do major publications continue to lie about this blatant reality? Because that is what they are paid to do. “Once global populations fully grasp the gravity of the biosphere collapse that is rapidly unfolding around them (further exacerbated by Geoengineering), our paradigm will overturn. The power structure is trying desperately to hide this reality for as long as possible. According to this agenda (Agenda 21 and Agenda 2030), humans are on the same level as animals. We are to be managed like flora and fauna. Behind it all is a materialistic and secularized view of humanity, which rejects the idea humans are sacred and part of the divine! Needless to say, this is just the tip of the iceberg in regards to this hideous agenda, which I detail in my book, Mass Awakening. 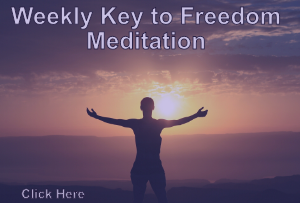 As the title indicates this covers the real intent to control humanity by cutting us off from our higher sources, but I believe we will win this battle and show the methods I and others employ to keep our connection and fight back. How Do We Know that We Are on a Positive Timeline and that We’re Being Saved? David Wilcock argues that if what Alex Jones, who discussed this depopulation agenda by the cabal for years, including the FEMA camps in the U.S., succeeded, we wouldn’t be here. I feel that it needs to be emphasized: If what the cabal/the elites planned for us all would have worked as they wished and implemented, and there were no white hats, you wouldn’t have been here reading this article. They have done everything to curb fertility and depopulate the planet but we are still here and they, the cabal, is losing. Remember this. By Shoshi Herscu, investigative journalist, and author of the full disclosure book, “Mass Awakening“. What people fail to understand is that 178 countries out of 193 have signed onto these agendas – The Agendas aren’t being pushed by just a handful of actors – Virtually ALL governments are in on this thing and we need to fight back immediately and on a massive scale to depose All governments – There are no good actors here – WE WILL HAVE TO SAVE OURSELVES. Revelation 14:9, come out of her my people… ESCAPE the grip…. !